The purpose of this post is to share my process. To be more transparent. I have really been lacking on the writing front and have recently had an urge to share more. Sharing what I recently went through, what I have learned and what I could potentially do better. I want to share my mentality and hopefully help someone going through similar situations. Sometimes things don’t go as planned. Let’s face it, that happens a lot. I’ve been focusing my thoughts and energy into what author, Pam Grout calls, the FP. The field of infinite potentiality. What the heck does that mean? To sum up, it is essentially altering your thoughts to be very positive, very focused/intentional and to think as if something has already occurred or will occur. Your thoughts create your reality kind of thinking. Make sense? I’m not a very religious person, but I would consider myself one that believes in the way of the universe. Everything happens for a reason, what-goes-around-comes-around-kind-of-thinking. E² is a life-changing book. The kind of book that can bring about exciting new opportunities and make you tilt your head sideways thinking “this can’t be real”. There are a multitude of experiments to attempt within E². One of the first experiments is to ask the FP (AKA the universe) for a “gift” and to mentally or verbally say aloud a 24 hour deadline. Could be longer or shorter but this timeframe is ideal. Boom. I called and the universe answered in a jiffy. Some may say, that is “luck” or a “coincidence”. I think not. Still thinking this can’t be a thing? No worries, a ton of people don’t believe me every time I share this kind of stuff. Are you thinking it’s some hippie nonsense? Heck yeah it sure does sound like it when you first start reading E²! My only advice — keep an open mind, give the experiments a shot, and if you truly believe, nothing but great things can happen. Looking for another example? I got you. This happened a few years ago. I really wanted to get more involved with my Phoenix Design Community. At this time, I was watching a lot of online presentations from my favorite designers speaking at conferences and thought, “man, I’d love to do that sometime”. 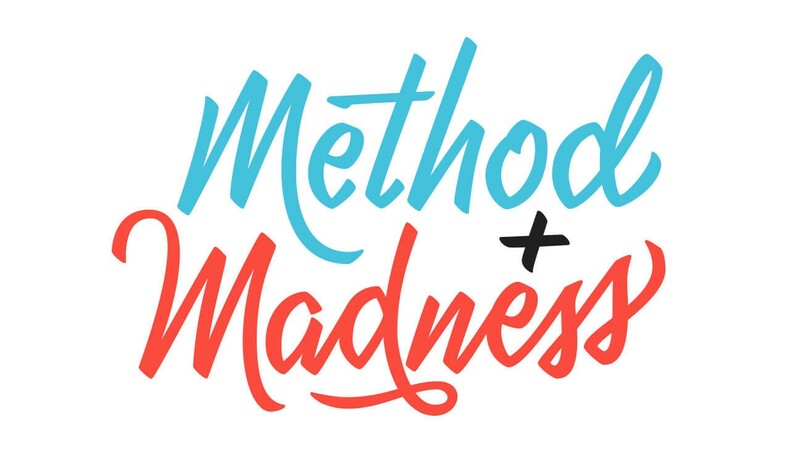 The annual Method & Madness (Phx Design Week) conference was approaching within a few months so what did I do? You guessed it, put those thoughts into the FP to be able to talk at this conference. A couple days later, I received an email asking to not only give a lightning talk, but to design the logotype as well. Getting involved with the community more — check. Giving my very first conference talk when I was 20 years old — check. I’ll share one last experience to really convince you to read E². I am currently in the process of paying back my student loans from ASU. Let’s just say, I have a very large sum to pay back. It will most definitely take many years. I put yet another call out to the universe saying something like, “I would love to be free of my student loans.” I thought about this for a few weeks off and on. Not 100% focusing on it but still had it in the back of my mind at all times. One day I was really focusing on this idea because I noticed after two years of making payments, I barely made a dent. It really hit me that day. Just a couple days later, I landed a freelance gig that paid enough to knock out the entirety of my student loans. This E² book has changed how I approach a lot of things with my career and overall day to day life. I am prefacing this whole post with the ideology that allows me to achieve what I have achieved thus far. A positive attitude, a clear, open mind, and the will to do bigger and better things. This isn’t paid advertising to get you to buy the book. I just believe in the book that much that I want to share it with everyone because I know how much it’s helped and guided me. 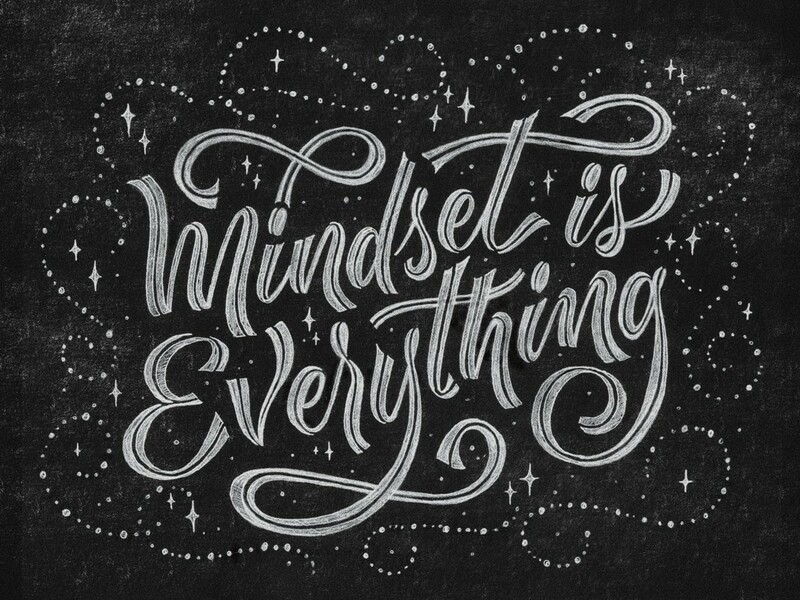 A positive attitude, a clear, open mind, and the will to do bigger and better things. That’s the key. As creatives, we want to work on crazy fun projects with super cool clients. We may want to give a killer presentation at a conference/event. Or maybe land an interview with a blog/magazine you have been following for a while. Whatever that opportunity may be, you know you want it because you think about that one thing over and over and over. For me, that one thing I had been focusing on for many months (possibly even a year) was the Adobe Creative Residency — Being able to work full-time on a passion project with funding and guidance from Adobe. 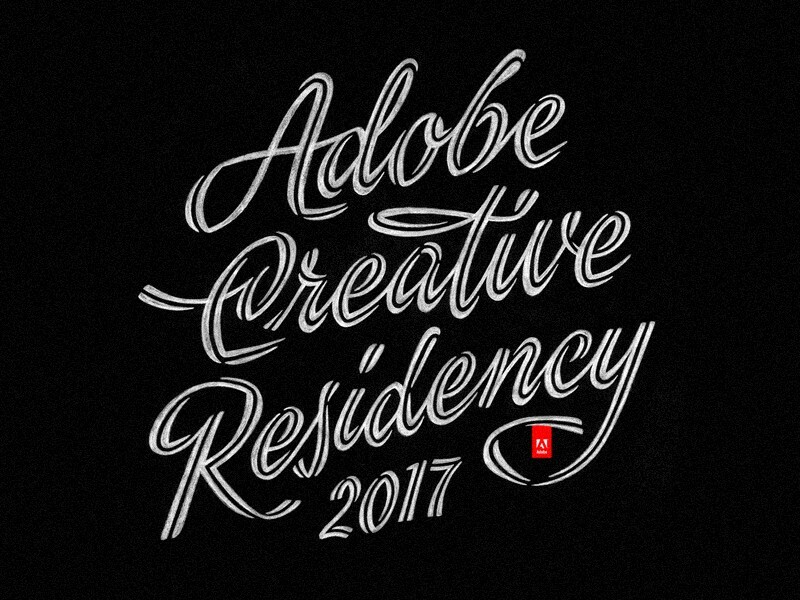 Custom lettering designed for my Adobe Creative Residency application. Preparing for the Residency is no easy feat. You’re submitting your proposal alongside 1600+ other applicants. How does one stand out from the crowd and also be able to win over Adobe? I knew I needed to focus all of my thoughts on the notion of landing the Residency. On top of this, I needed to create something a bit more unique to get noticed alongside the many that applied. Adobe provided a landing page filled with tons of entry fields to essentially fill in the blanks, answering questions as you go. I decided to take it a bit further to create a custom application on my domain so it is not only styled/designed a bit better than the entry fields, but to also go the extra mile and show the effort I put into this application. I put my all into this application and that’s a good thing! I recall the day I made those finishing touches, submitted the form and thought, “I GOT THIS!” I was pretty darn confident I was going to lock down this Residency that I even turned away certain freelance gigs because I knew they would get in the way of the Residency when it started. I was planning to be free of all freelance inquires to be able to hit the ground running! With the application sent off, I was feeling great. About a week later I got THE EMAIL. The one I was waiting for. An interview! The interview with Adobe to inquire further about my Residency project. I was at this point extremely confident that I solidified this Residency with no problem. …I was questioning every little thing I did and was trying to understand what I did wrong to not land a 2nd interview. You know that feeling you have after a bad breakup? The temporary depression set in. No working, barely moving, hardly eating, just playing video games to get my mind off of everything. That minor depression carried on for a couple days until thankfully, Creative South 2017 rolled around. It was perfect timing to get myself out of this negative mindset. While at Creative South I received the official email saying I did not get accepted. Luckily, I was surrounded by wonderful friends, inspiring talks, and an all-around positive vibe from the CS attendees. Looking back at this experience, I tried to use the same type of thinking as I mentioned above. I focused my thoughts on the FP to nail down that first interview. So what went wrong after that? For some reason, I had this tiny sliver of a thought– “What if I don’t get accepted? What will I do then? How will my project get completed?” And I now know it’s because I had that one shred of doubt that it took away that “mental-momentum” if you will. The doubt hinders you and changes that “I will” statement into an “I might”. I wanted to share this experience to show that the highs and lows of a career (and life for that matter) are always constant. The never-ending doubts, the constant struggles, and the negative thoughts always come around at some point. It’s up to you to decide how they effect you. You can let it cripple you, like I did, or try to shake it off and move on to the next thing. And I want to say, it is perfectly okay for it to cripple you temporarily, that is totally normal. But if that feeling lingers for longer than a week, it is time to do something about it. Even through the negative thoughts, we need to look at the positive side of things. We need to be grateful for what we have and thankful for what we achieved. I am blessed to have had an interview when I know a lot of my friends sadly didn’t get that chance. To have made it that far gives me a sense of accomplishment to keep on keeping on. And of course, with or without the Residency, I am going to progress further with my proposed project and will complete it nonetheless. It will get done. 1. Identify the good things in life. I myself get so caught up in “life” that I have noticed I never take the time to be thankful for what I have. Being able to wake up and do what I love every morning. Having a roof over my head, food on the table, and a loving girlfriend to share my life with. Make a list of these things and do it daily. 2. Move towards things that make you feel most alive. Life is way too short to do something you’re dreading each and every single day. In my travels for work, I have come across so many people that have told me they wished they pursued their art/design career further. I always ask them why they didn’t and it somehow always comes down to one thing–money. Money shouldn’t be your driving force, people. The inanimate objects that money buys you are temporary. The joy and excitement your career can bring you is everlasting. 3. Relax and have more fun. There’s this notion of working hard, AKA the hustle-effect. It’s great to hustle, sure. But, it’s better to hustle-healthily. Get the proper amount of sleep, take care of yourself, give your time to friends and family. The list goes on. All I’m saying is there is no reason to burn yourself out. If you’re burned out, you can’t work. If you can’t work, you can’t achieve those goals and dreams you are setting for yourself. The choice is simple. If you are burned out, you can’t work. And if you can’t work, you can’t achieve the goals and dreams you are setting for yourself. The choice is simple. 4. Share your luck / stories / encounters with others. I think this is one of the most important things to do. I personally love hearing the crazy awesome things that happen to people. The kind of stories I was sharing at the beginning of this post are extremely rewarding in my opinion. It almost starts this domino effect to get others to change their mindset and explore the amazing opportunities that can occur. At the end of the day, we’re all in this together. Even if the FP sort of mentality doesn’t resonate with you whatsoever, I hope this was still of some value. Here’s to the constant creation and to never stop doing what we love.